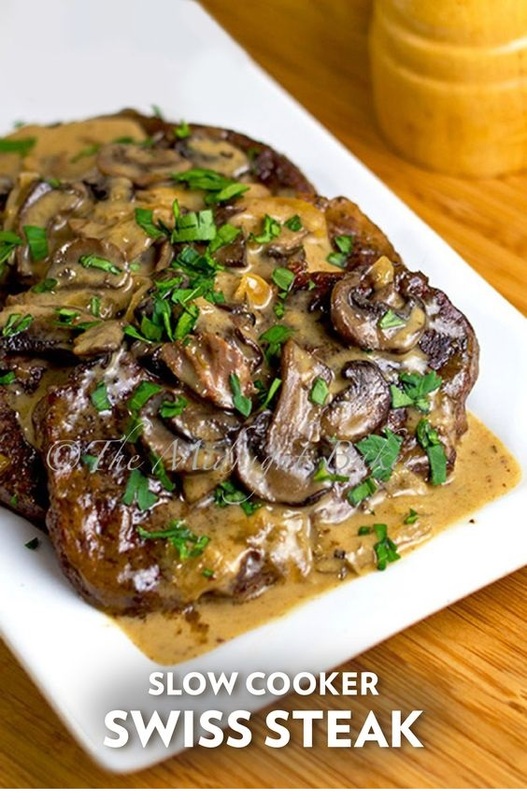 This is a great swiss steak recipe. This one doesn’t use tomatoes and that was my main objection to other recipes. Not that I have anything against tomatoes; I love them, just not in this dish! Heat a heavy skillet or saute pan over medium heat. Add 1 tbs of the oil. Add the mushrooms; cover and cook for 5 minutes. Remove cover and continue cooking until mushrooms begin to brown. Remove from pan and place in the slow cooker.